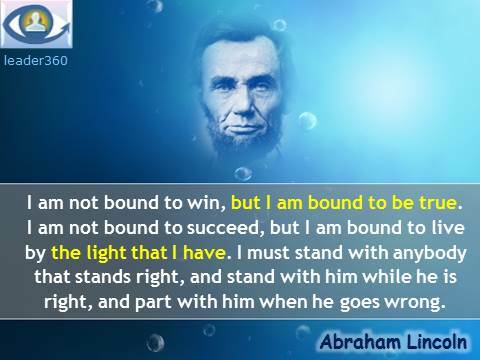 Lincoln quotes, leadership sayings by Abraham Linkoln - A friend is one who has the same enemies as you have. Abraham Lincoln (1809 – 1865) was the 16th President of the United States, serving from March 1861 until his assassination in April 1865. Lincoln led the United States through its Civil War. He preserved the Union, abolished slavery, strengthened the national government and modernized the economy. Humorous News Who assassinated Abraham Lincoln ─ a fresh idea!